Lunch: I don’t know how we got through this day! We both woke up feeling really lousy. It’s hot outside and we have bad colds. Still we managed to work. We were in the kitchen creating and cooking most of the day. We’ve been asked to contribute a few recipes to a new cookbook. 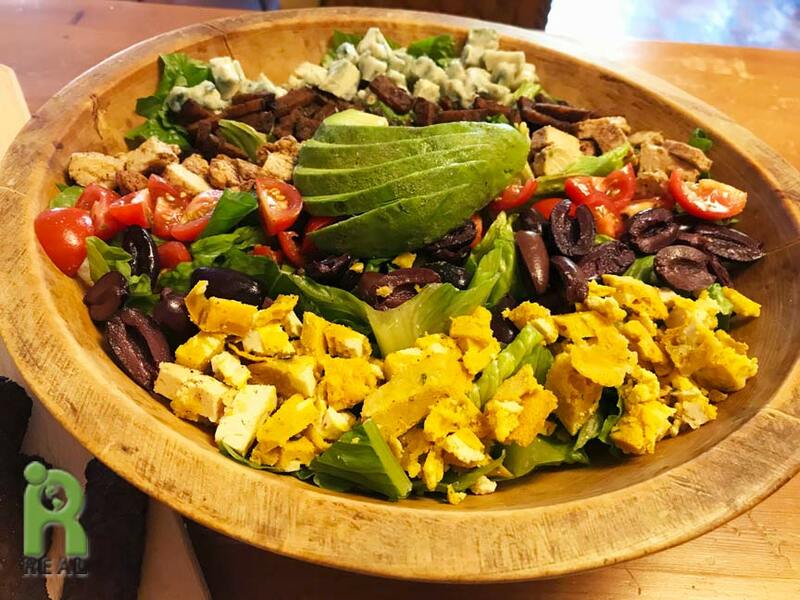 Gary has been wanting to make a vegan version of the classic Cobb Salad for a long time. He did it. It was amazing too. So many great flavors in every bite. I wish I could give you the recipe but as I mentioned it’s going to be published in a new cookbook. Stay tuned. Dinner: Over the last few days we prepped the Almond Ricotta and Marinara Sauce. I made my Pumpkin Seed “breading” that I created for the Pumpkin Seed Crusted Tofu Steaks recipe. I was wanting to try it as a breading on other things. 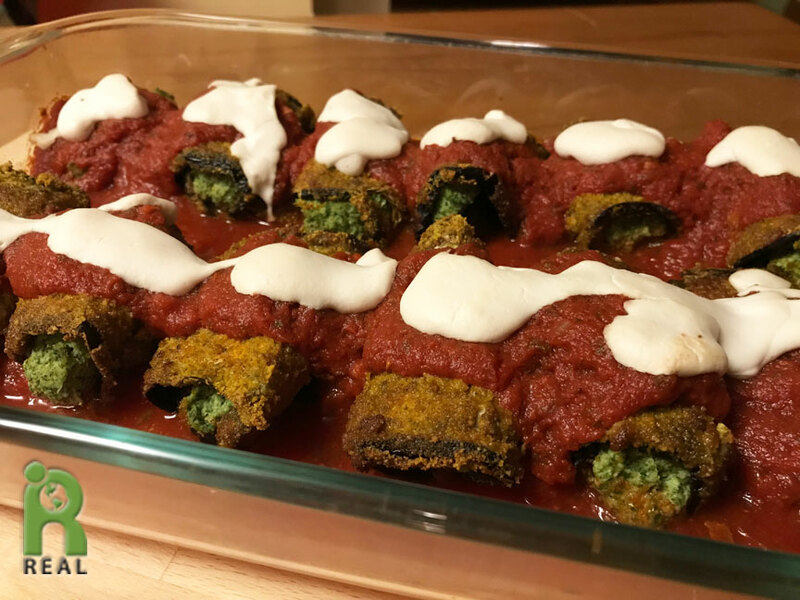 Today we put it all together and made Eggplant Rollantini. We both sampled small pieces and put the rest in the freezer for another time. It’s rich and delicious. And it’s also going in the new cookbook. Stay tuned. 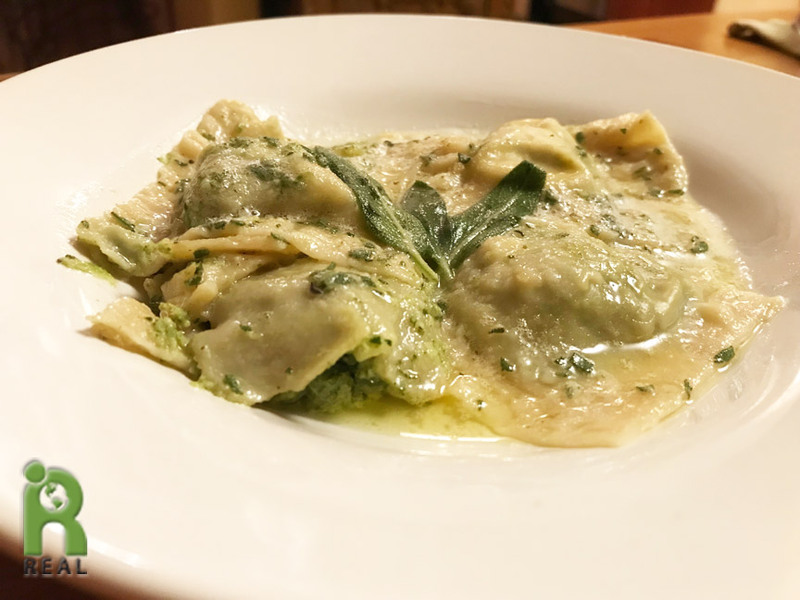 Gary made pasta dough with Aquafaba and used it for a Ravioli with Spinach and Almond Ricotta in Vegan Sage Butter. Oh my, oh my, oh my was it good. This one is going in our cookbook. Stay tuned.